In the early years of my teaching career, I tried all kinds of systems, tricks, and methods for classroom management. I'd still get the same results, and then I'd feel frustrated. When I started teaching, I was at a large school with a behavior system in place. All teachers had to do it, no exceptions. After a few months, I started realizing just how much I disliked the system. Kids were way too focused on their "color" at the end of the day rather than academic successes or other fun things we did. Parents would actually say to them as they got in their car, "What color were you on today?" It felt yucky, and I knew that once I left that school I'd never use that system again. I moved after that year and landed in an incredible school. The principal was phenomenal. She treated us and the students the same: high expectations, pushing us to be our best, believing in us but challenging us to do better, and recognizing and celebrating our successes. Because of her approach, I have such a positive outlook on classroom management. 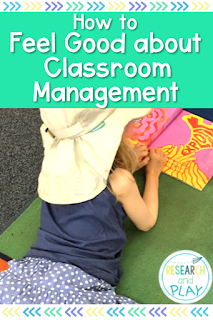 After learning from some amazing teachers and one particularly awesome principal, I'm here to tell you that classroom management does not have to be stress-inducing for you or your students. It can actually be enjoyable, easy, and simple! I want to share some of my very basic tips for keeping this aspect of your job one of the least stressful things you have to think about. 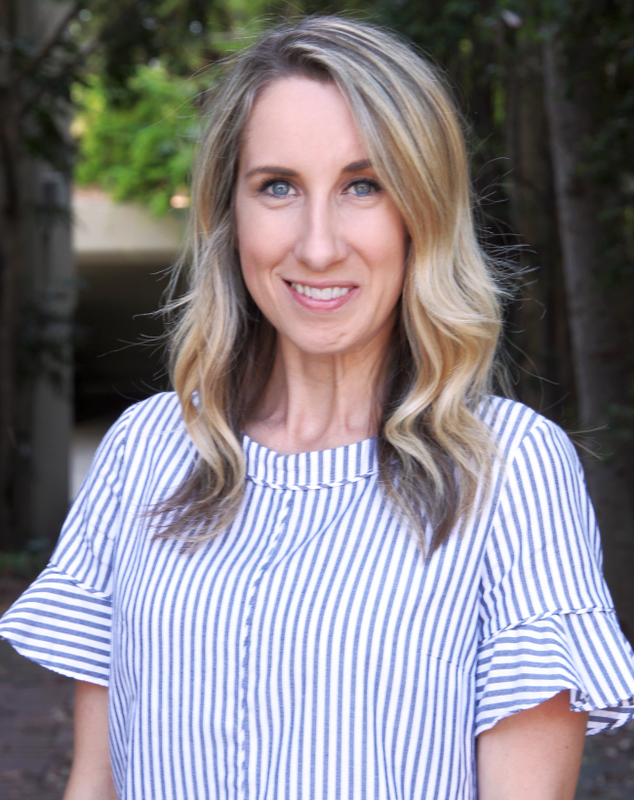 Now I have to stop here and say that having a role model was huge, but having a background in Responsive Classroom was also very instrumental in how I approach classroom management. Because of how RC does classroom environment and management, I was able to set the tone. If you don't know about RC and want to learn more (trust me, you do), check out these books. They are must-haves for setting the tone for the school year. 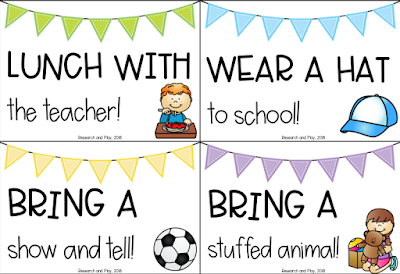 One of the best things that I do with my students very early in the school year (think second or third day) is to have a discussion about and create our class rules, also known as our Class Promise. Your discussion in August will not be as deep as your discussion in January when you do this again. That's okay, though! You want to be able to have this experience with your class. Remember, you're a brand new adult to most of these kids. They are trying to figure you out, figure out all these other kids, and navigate in this new space. They need to feel some ownership and importance early on, and letting them create your rules is a great way to do that. When you are finally ready to make your rules, keep them short. You want to write down what your students say, but you'll have to wordsmith a little to make it a concise rule. Remember, you'll be referring to these rules almost daily, so you don't want anything too wordy or over-their-heads. If one of your kids says, "Don't run because you could fall down and get hurt," you could repeat what he said, rephrase it, and write, "Keep your body safe by walking." Always validate their ideas, you just might need to rephrase them a little. My students came up with the rough draft version of those, and then I rephrased and condensed them. I said those rules so much during the year (they changed a little in January, when RC suggests doing this whole process again) but had basically the same meaning. If you guessed that my first school used clip charts from my little blurb earlier, you were right! In my opinion, they are one of the least effective tools for classroom management (many other educators have written blog posts on this topic, so please go read those if you're on the fence!). Maybe they work in the moment, but they do not have lasting effects and can actually be damaging to students' self-esteem and worth in the classroom. Remember the car issue? One of my sweetest little girls walked up to her car with me one day, and the second I opened the door she burst into tears! I was like OMG what is wrong?! as was her mom, and her little voice said, "I just got to bluuuuuuuuue today!" Blue is a "good" color on the chart, just not as "good" as pink where she typically clipped up to. That was the exact moment I knew I'd never use a clip chart again. Students at this age are very literal and will attach themselves to those colors. They start to see themselves as a "blue kid" or "pink kid" or maybe even a "red kid." Once I started realizing that, I immediately stopped using the clip chart as my tool. Since all teachers had to use it, though, I began just mass-clipping kids up on the chart and trying to recognize as much positive behavior that I could. You tied your shoe? Go clip up! You pushed in your chair, shared your crayon, lined up without touching anyone, made it through the day? Clip up! I didn't want another student to feel less-than because they didn't clip up. Now, I use a different system completely. My old school was heavy into PBIS, and the tool they used has been my go-to tool even after moving schools. I even got my current school to implement it as a school-wide behavior system like my old school did! It takes a little bit of work on your end, but it's totally worth it. Click here to download your own copy of this template! Just add your school's name, print front to back, and you'll be ready to use! Every student has a CARES card. 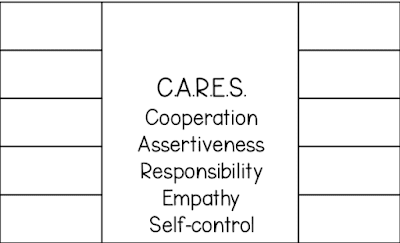 CARES is an acronym from Responsive Classroom that stands for Cooperation, Assertiveness, Responsibility, Empathy, and Self-control. We go over each of these words during the first week of school, model what they look like, and then use the words A LOT. They're big words for kinders, but the more you use them in context, the more they will become part of their vocabulary. Every time an adult notices a student following one of our class rules, school rules, or showing one of the CARES traits, we initial their card (we call it signing their card). And it's always public! "Hey Amy, I noticed you sharing those Legos when Matt came over to the loose parts center. Thanks for doing that, I'm going to sign your CARES card." You don't make a big deal about it, but when other students hear and see that, it motivates them, too! What happens when they fill up a CARES card? Now that is a big deal! When one of my students fills a card, they are giddy. When it happens, I stop whatever is happening and shout, "___ just filled her CARES card!" We all clap and cheer for that student. He or she immediately comes to our treasure box, picks something out (more about that in a minute), then walks their CARES card to the front office. There is an envelope that all filled cards go in, the office staff sees them and gives them praise, and then there's a drawing. On Friday afternoons, our principal comes on the announcements, goes over our school rules and motto, then pulls out one CARES card from each class to come up and claim a prize. The prizes are just dinky little things, but that's not why they love it. When a student can hear his or her name on the intercom announced across the entire school, THAT is the ultimate positive reinforcement. If you can't do this with your whole school, you can still make the Friday drawing a thing in your classroom. Just do it at the end of the day and still make a big deal of it! Use a microphone if you have it! Just celebrate them and make them feel GOOD. That's the main point. 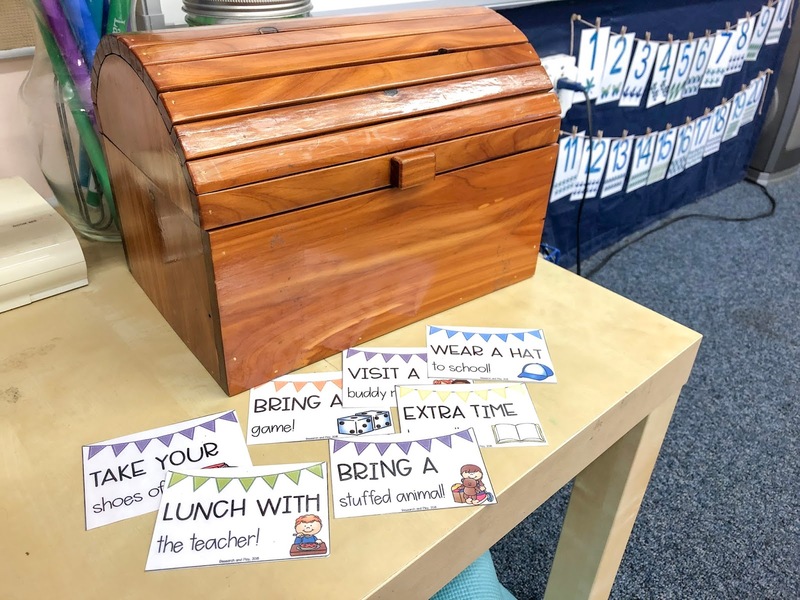 Giving positive recognition for their behavior by using fun incentives like these have made a huge difference in the buy-in from my students. They love looking through the treasure box and finding the card they were hoping for. These rewards take little to no effort on my part, but the effects are huge! One of the most common things people say when they hear I teach kindergarten is, "You are soo patient!" Actually, I'm not. 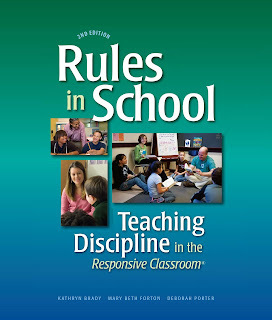 I have very high expectations for my students, and there are clear rules and consequences. When a student is not meeting those expectations we set together as a class, I give them 3 verbal warnings. And if they still can't change their behavior? I use reflection sheets. Let's say it's mini lesson time and I'm actively teaching. A student turns and chats with a neighbor and a quick, "Holly..." doesn't redirect her. Then I give a warning. "Holly, that's 1 warning" is all I have to say. She knows she's now on the path to a reflection sheet if she can't change her behavior. If Holly continues to talk and receives her 3 warnings, I say, "Holly, you have 3 warnings. If you can't make better choices it's a reflection sheet." I say all of these things publicly because they are short, sweet, and matter-of-fact. Nothing about how I redirect behavior blames or shames a student, just calls attention to misbehavior. If a student gets to the point of a reflection sheet (sometimes we call them think sheets, too), I say, "Go get a think sheet. I'll be there in a few minutes." They know where the think sheets are, so they grab them, head to my kidney table, and start filling it out. They are so simple and straightforward that my kinders are able to fill them out pretty independently. If they can't, they wait until I come over to help them. I always try to get over to them within the next couple of minutes to talk to them about their behavior, explain why it wasn't okay, then discuss other choices in the future. The whole process takes about 5 minutes, and then they put the think sheet in their binder to take home to show parents. Click here for the awesome resource I use for reflection sheets. I also hang the "How are you feeling?" poster in my cozy spot to help kids self-reflect on their emotions when they visit. I want to be sure I get to them quickly and resolve it because I don't want them to feel like they're being sent to a time out. I explain to them that they have to come sit at my teacher table because they're proving to me that they aren't keeping their promise (referring to our Class Promise we created) with their friends, so they need some time alone to think about how to do things differently. Other students see us over there talking, but they don't need to know what we're talking about. It's between the student and I, and then we chat with their parents. Typically, think sheets solve the majority of my misbehaviors. Some students, though, will fill out multiple think sheets during the school year, so we work together with parents and the principal to figure out a more structured behavior plan. Sorry for the wordiness, but I wanted it to be a comprehensive view of how I see and do classroom management. These strategies work for me and my students, and I hope they can help any of you who feel stressed about how to establish your own routines and expectations. Thank you so much for that post. I have changed grades many times and am finally on my way back to Kindergarten. Last time I taught it, classroom management was my goal because it was my very first job. As I head back to that grade, I worry that my classroom management will be another problem area for me. 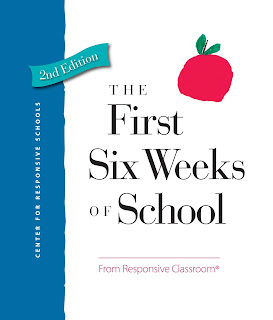 I have purchased the first 6 weeks of school book and am going to start reading it right away. Thank you again and again for your advice. Welcome back to K! 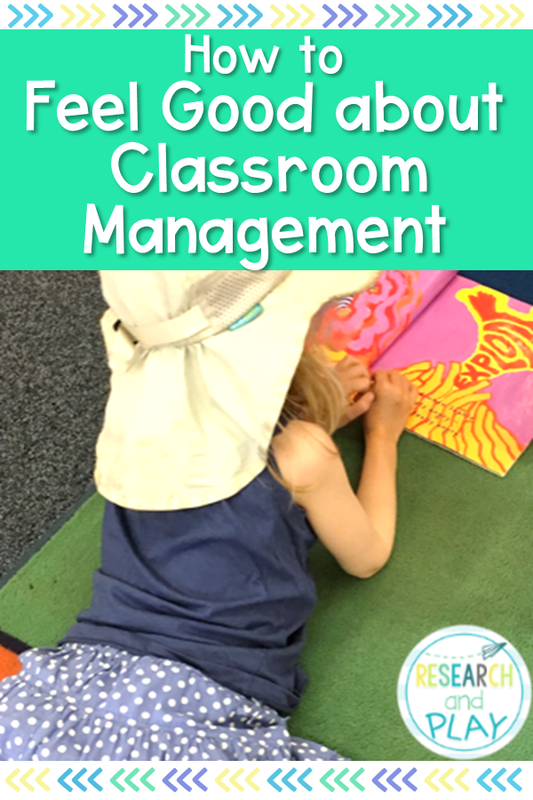 Classroom management is definitely something you have to tweak and change every year. Having tools like that book and others have made all the difference. Best of luck to you! This blog has been great to read through! I am definitely going to check into Responsive Classroom! We have been using Conscious Discipline in our PreK room (I am currently just a para) and while I like certain aspects, I am always looking for other methods of classroom management! We use CHAMPS in our Elementary classrooms and, I believe it is too much for students to follow! I like how your promises are short and condensed and agreed upon by students! I feel like this would work much better! So much great information! I loved this post. How do students store their CARES cards? Do they wear them around their neck or just keep them in their desk? Thanks for all your help! I forgot one thing! Do they need 10 signatures before they choose from the treasure box or 20? You said to print front and back so I'm thinking they need 20...Thanks again!